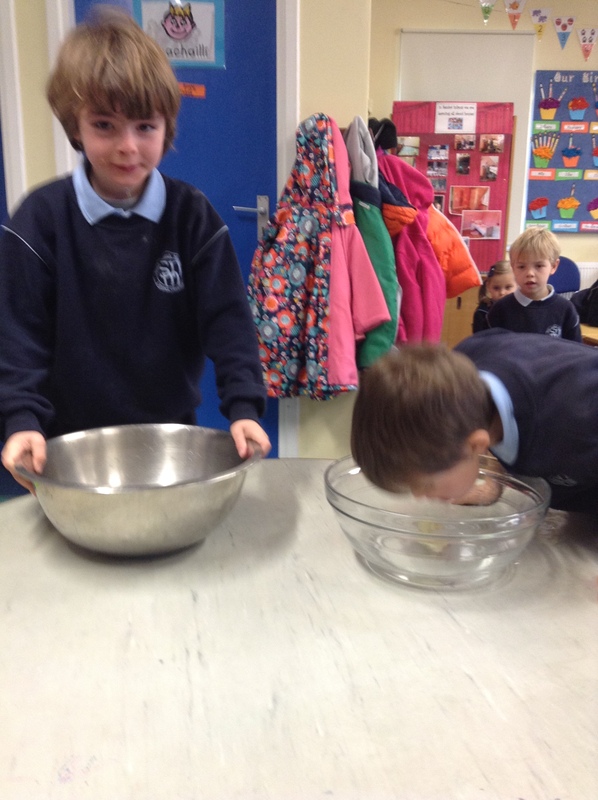 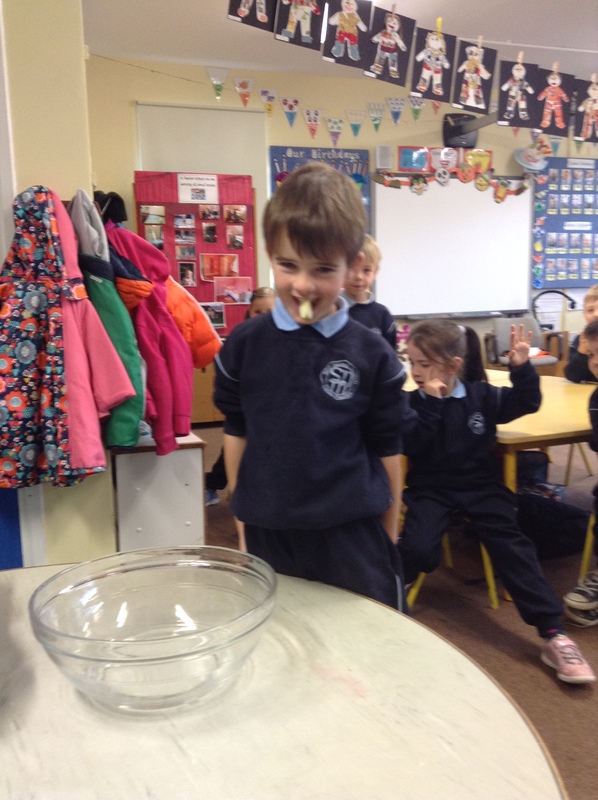 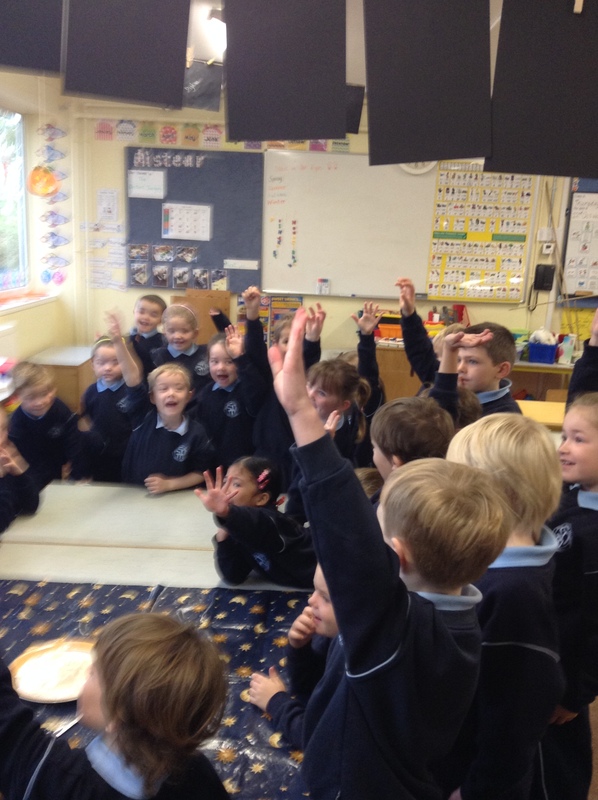 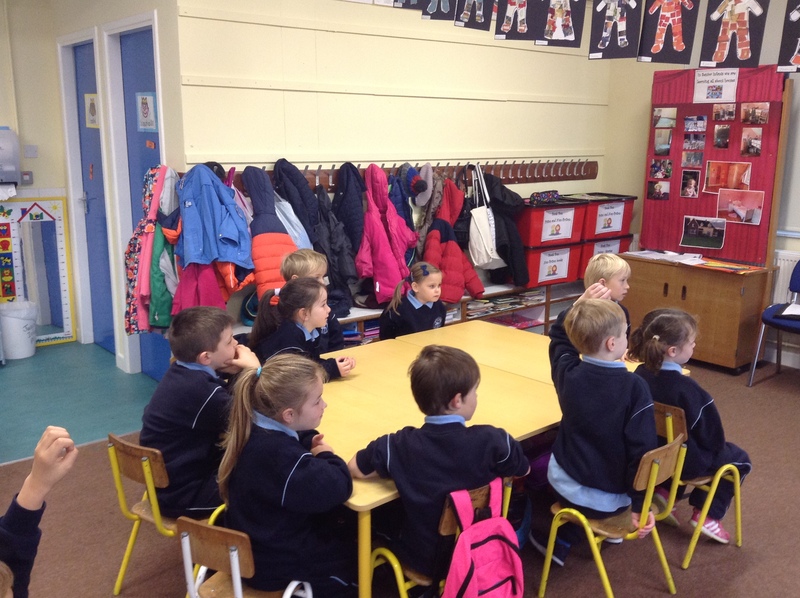 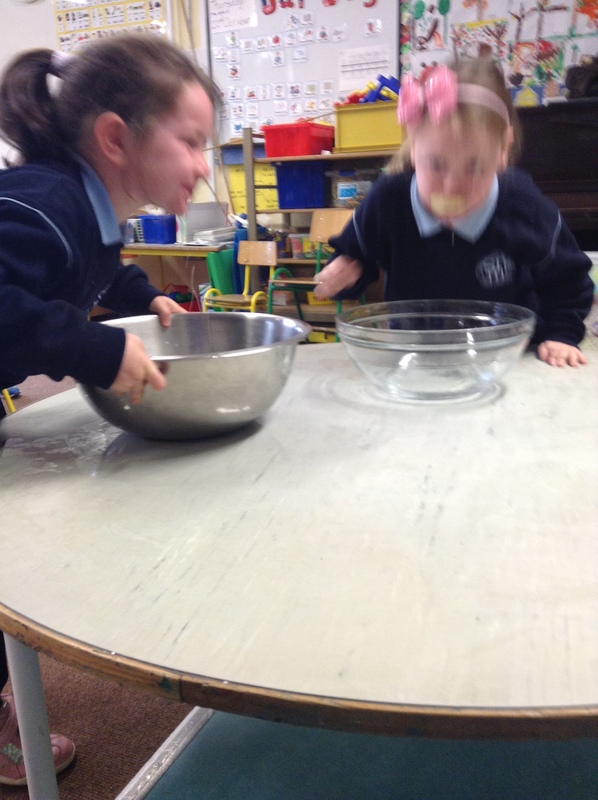 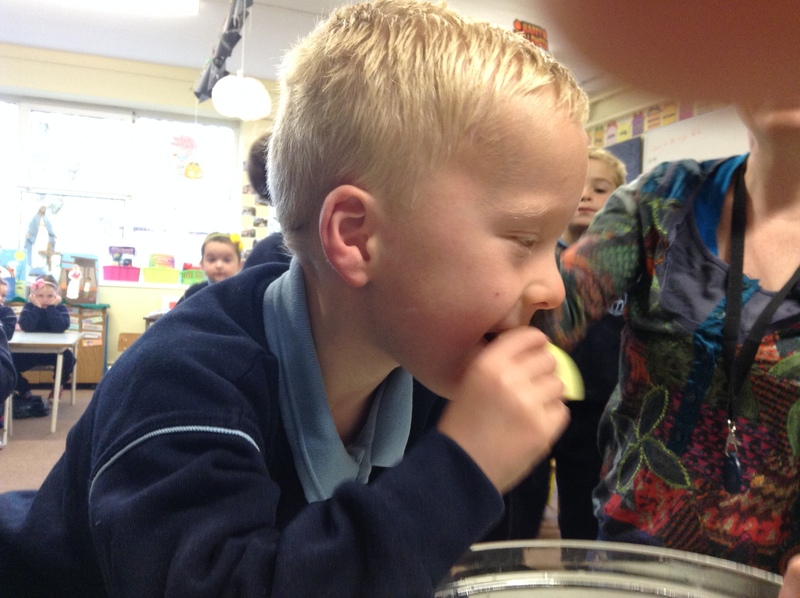 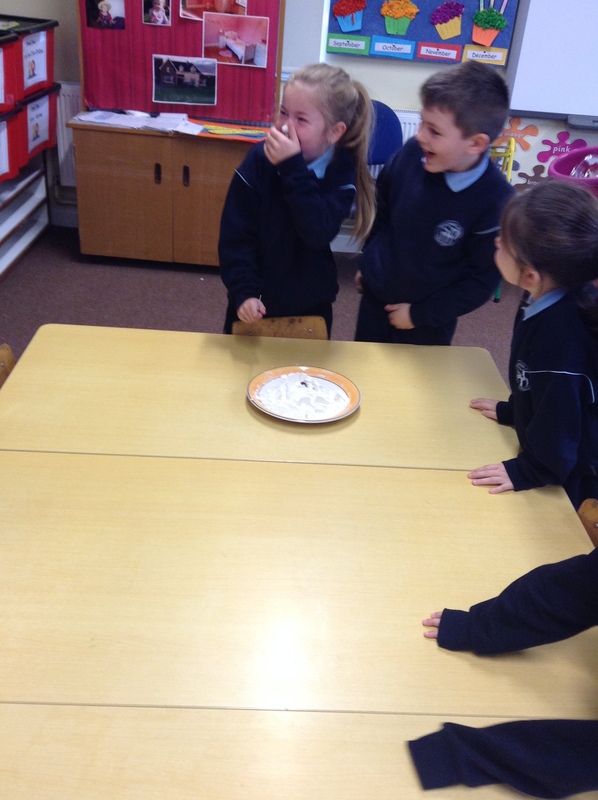 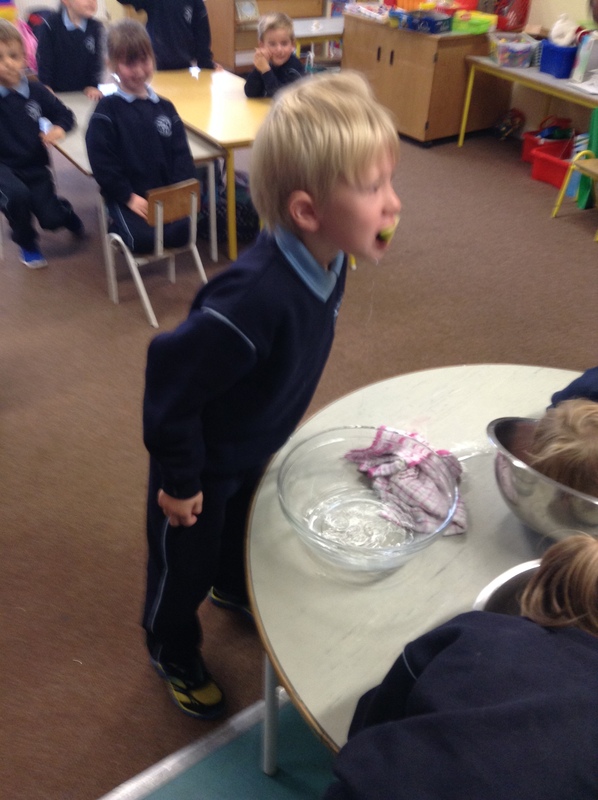 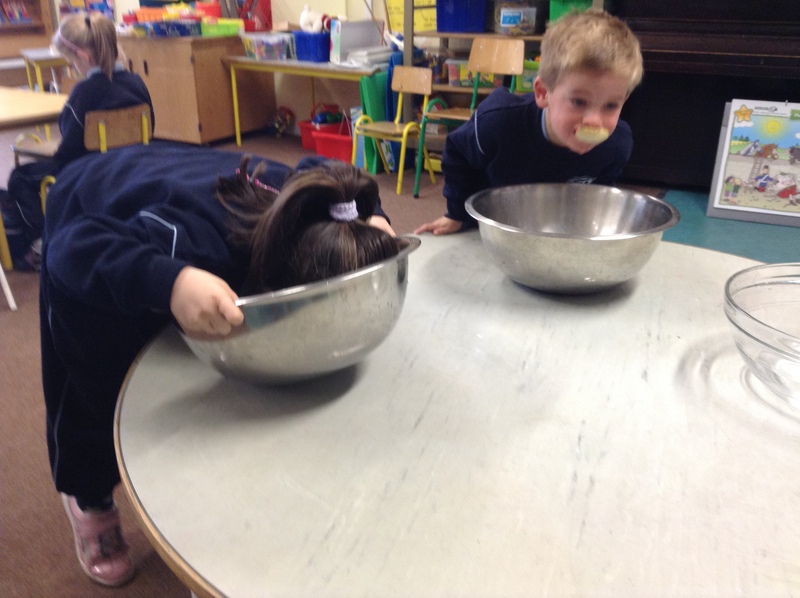 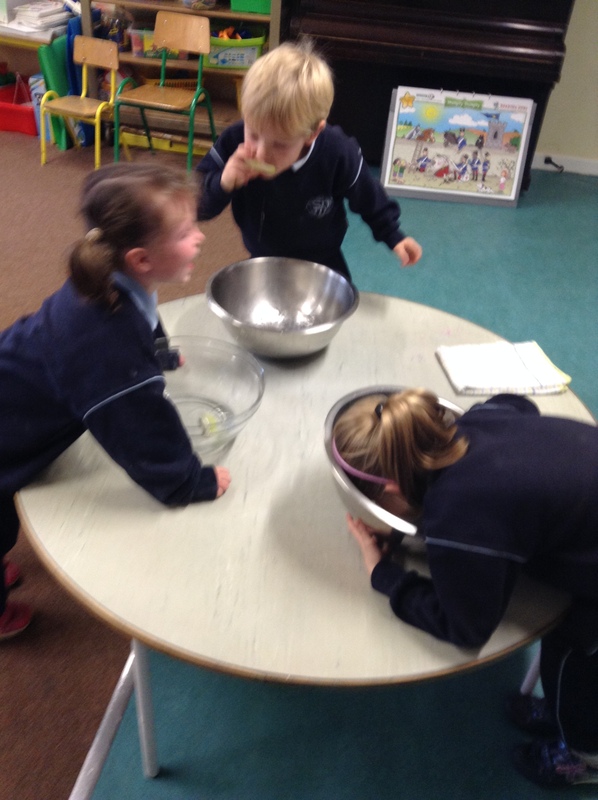 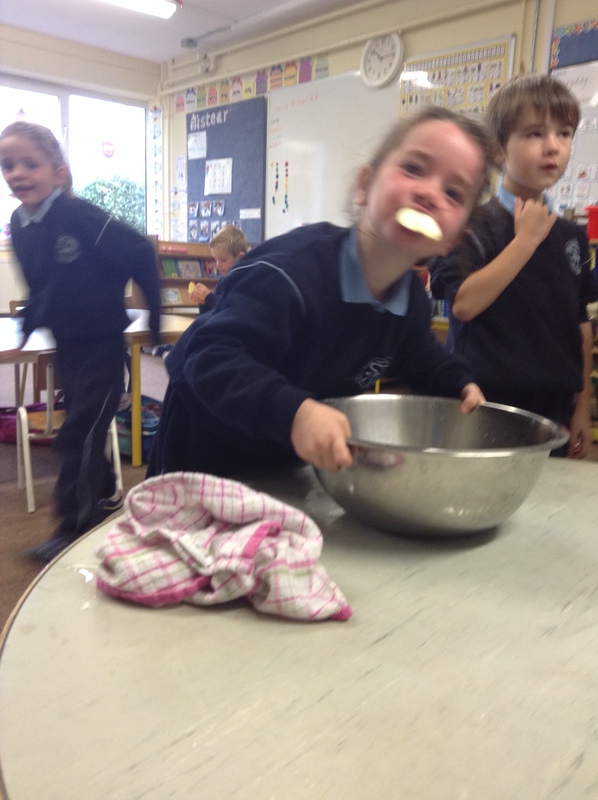 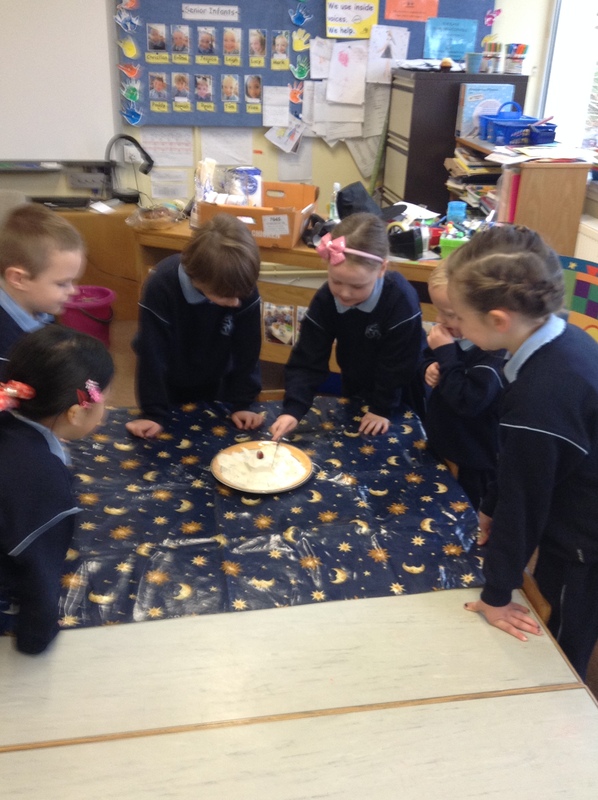 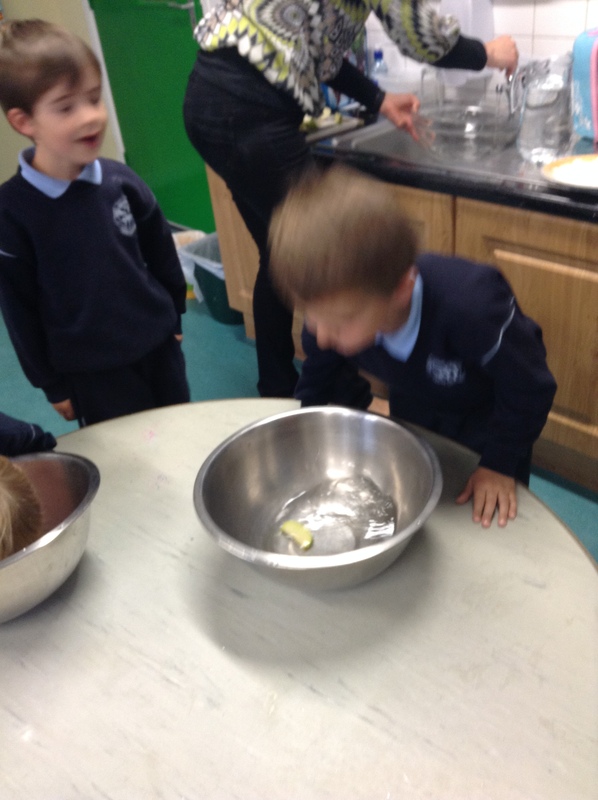 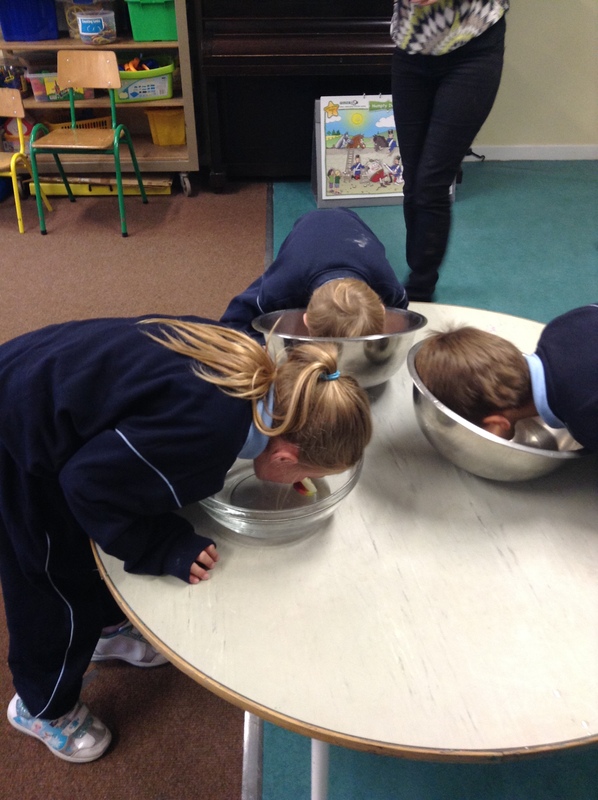 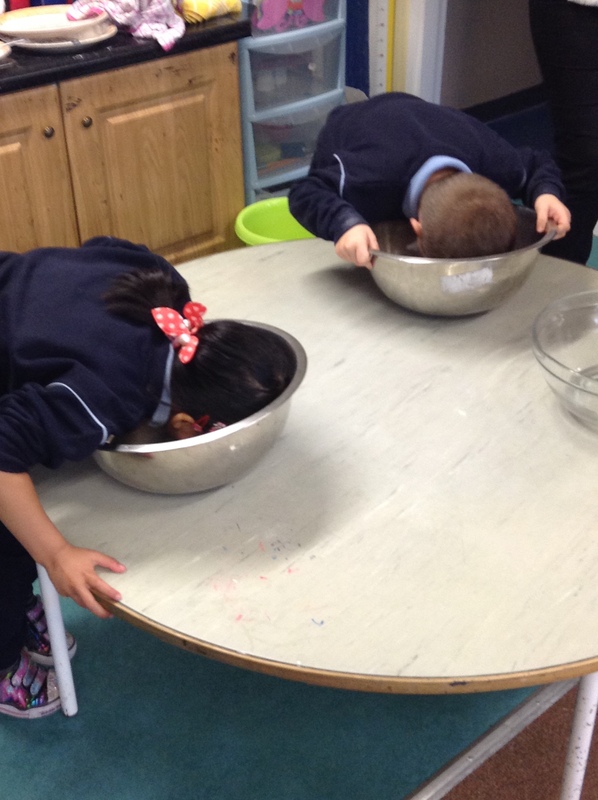 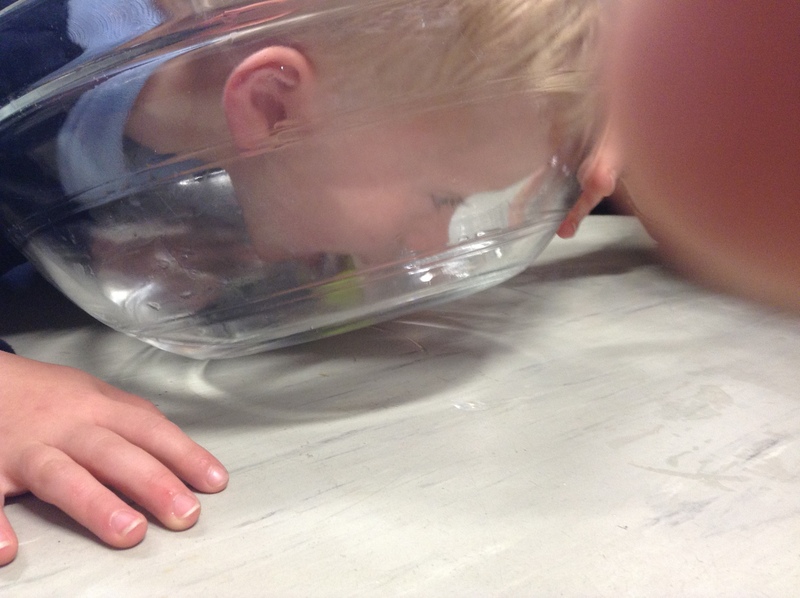 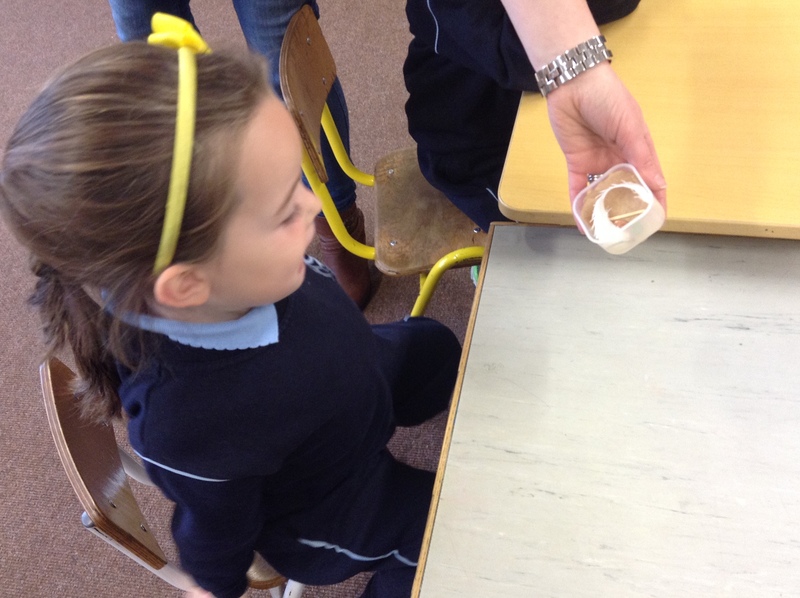 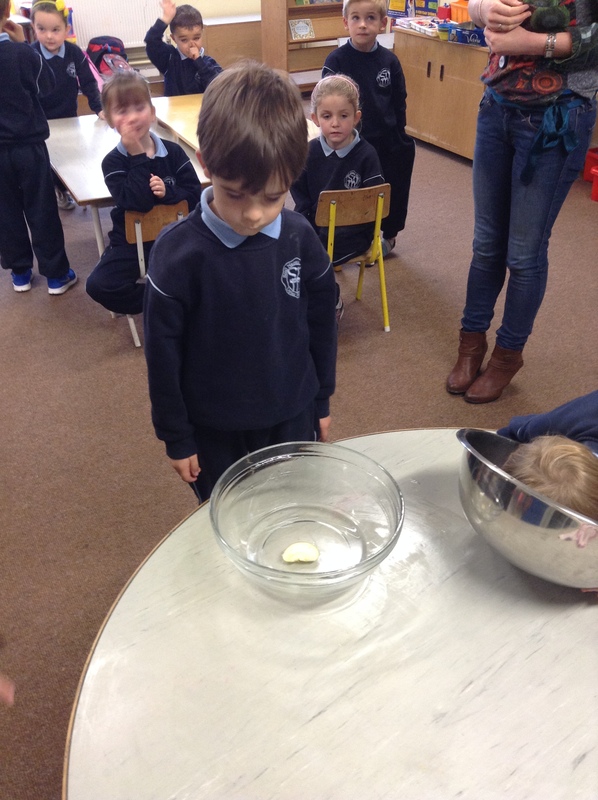 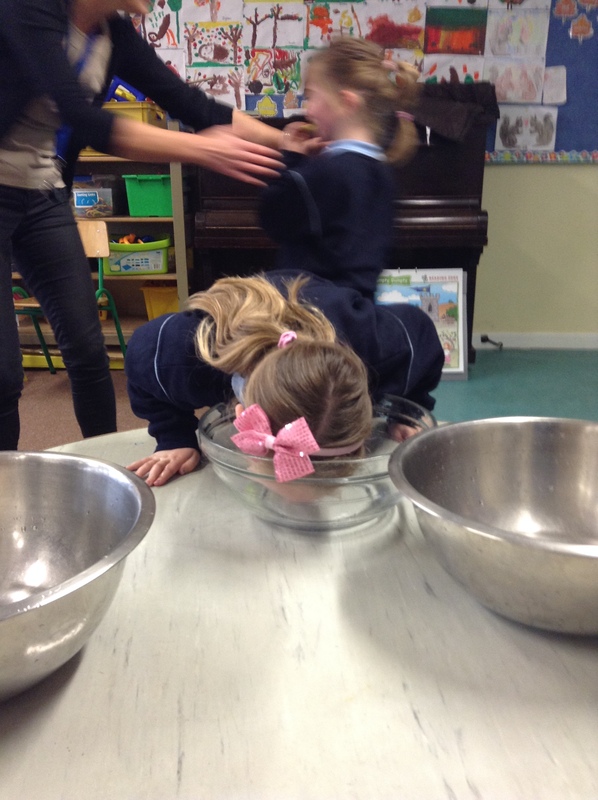 Have a look at these photos which just about capture how alive the past came in our classroom when Mrs Harden came to visit us just before the mid-term. 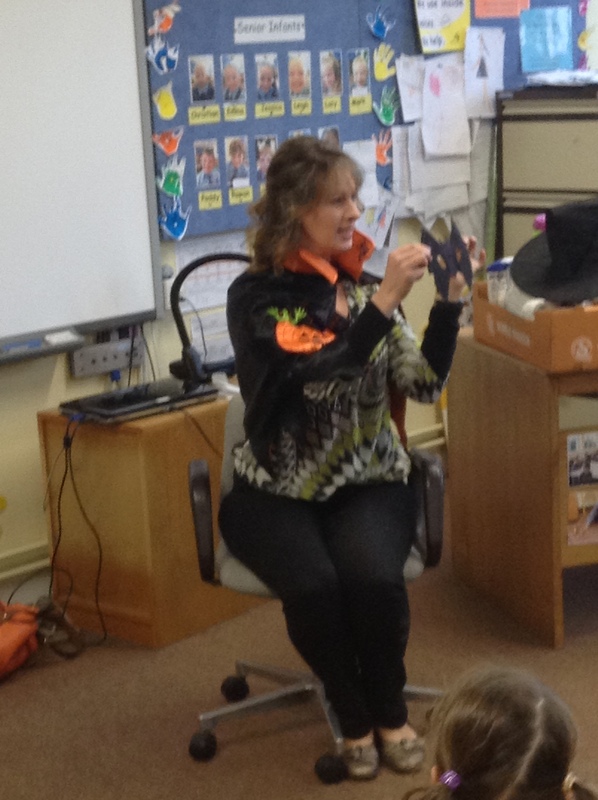 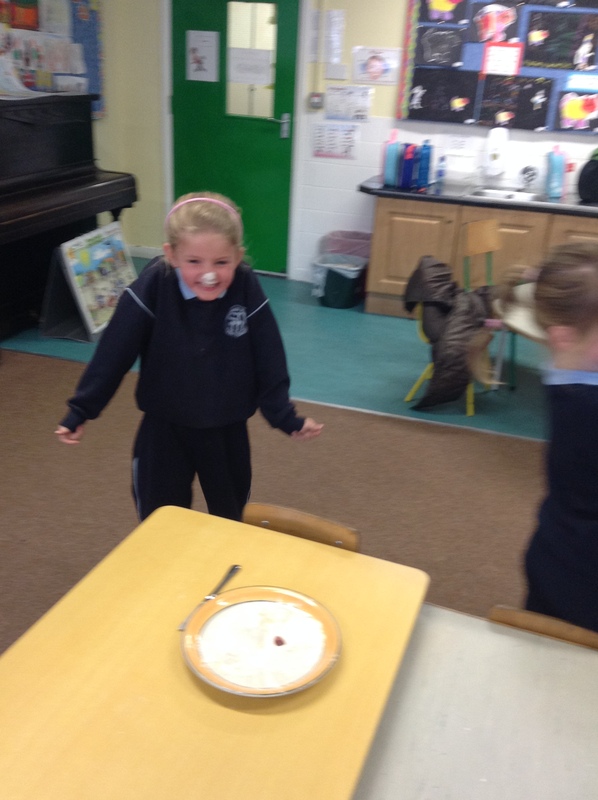 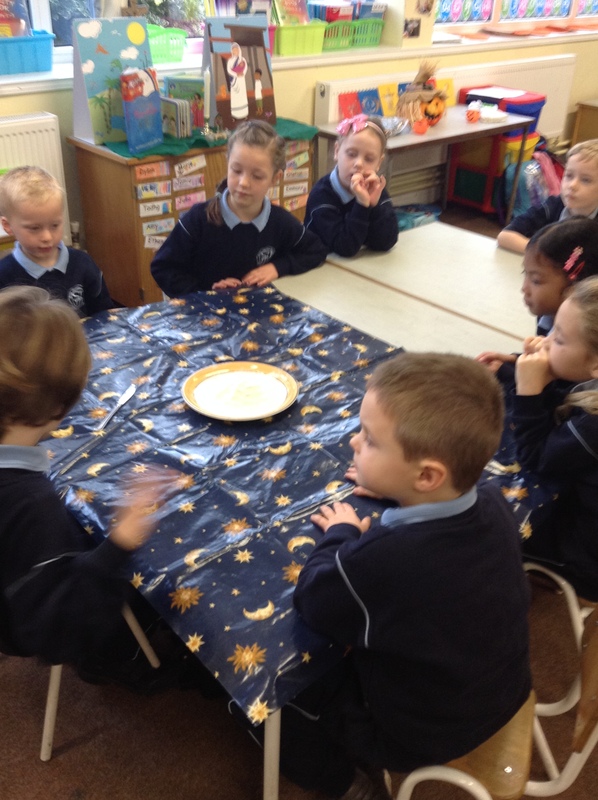 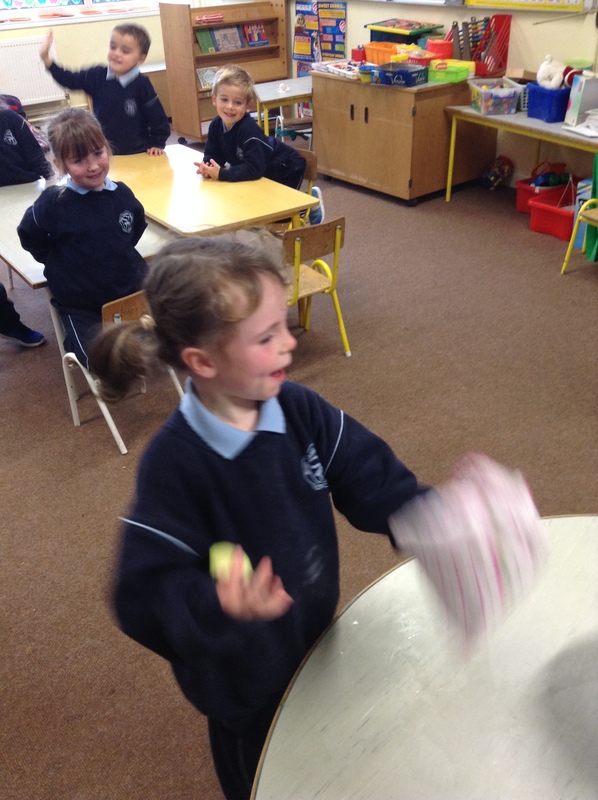 We learnt all about what Halloween was like when she was a little girl. 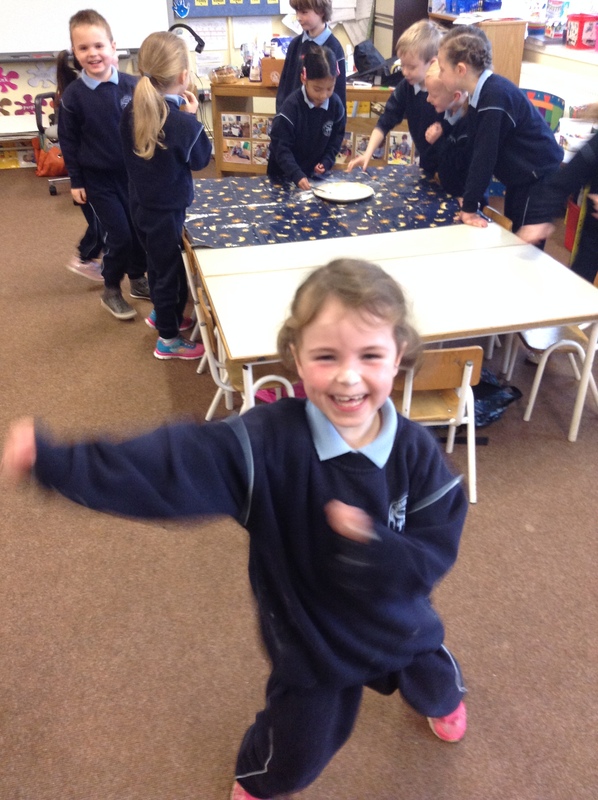 We were so excited to play some of the games she had played. 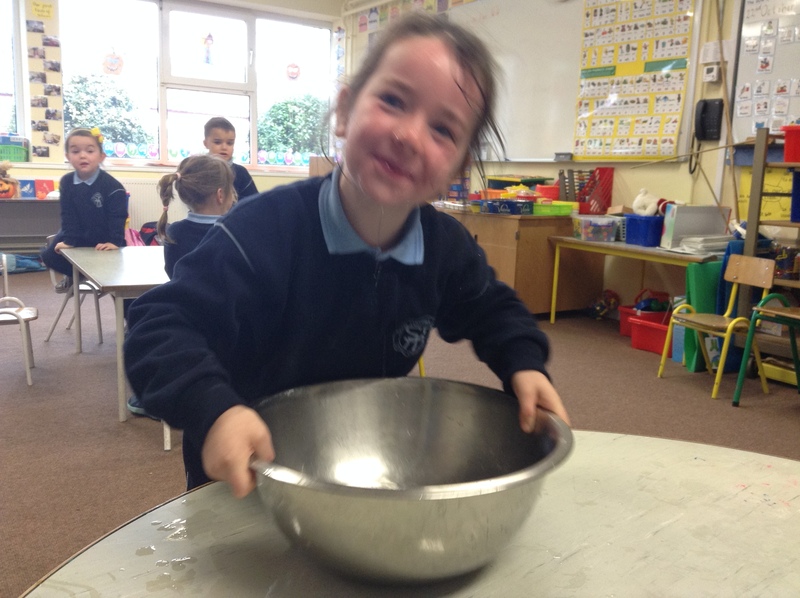 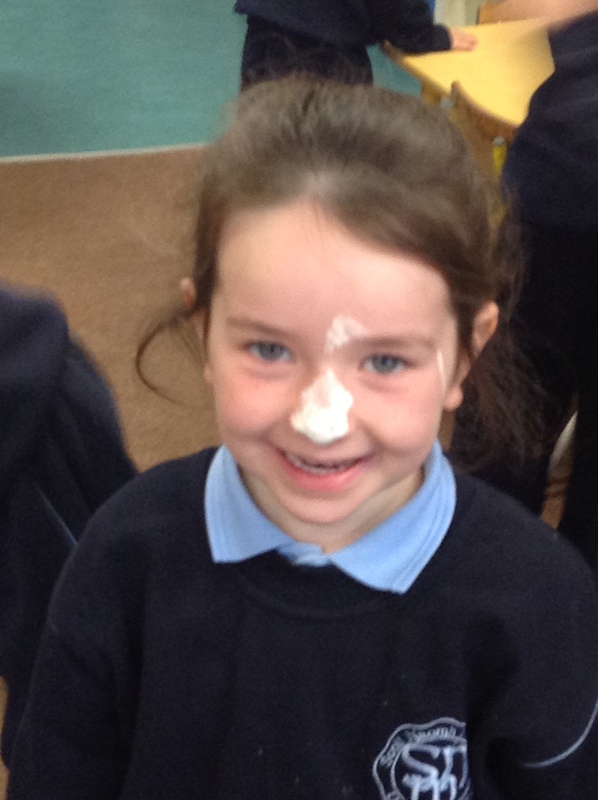 There were floury noses and plenty of wet faces but smiles and shrieks of laughter all round. 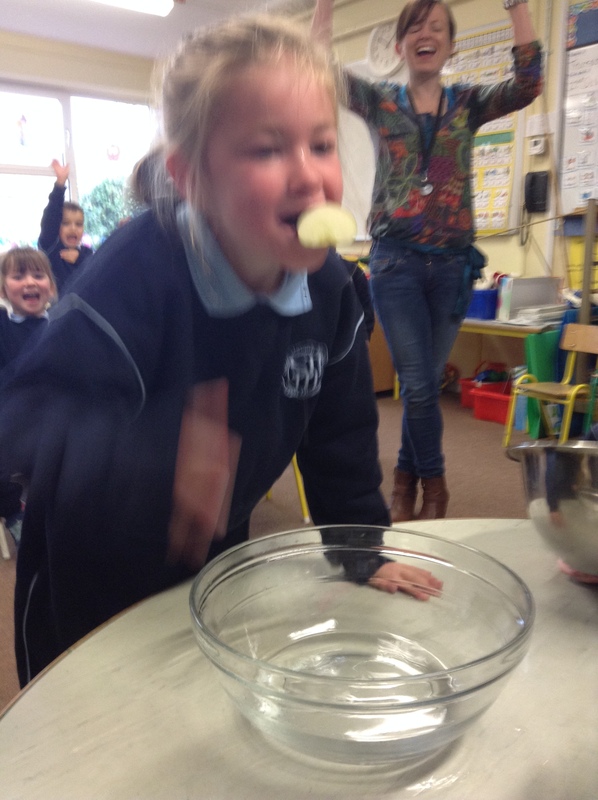 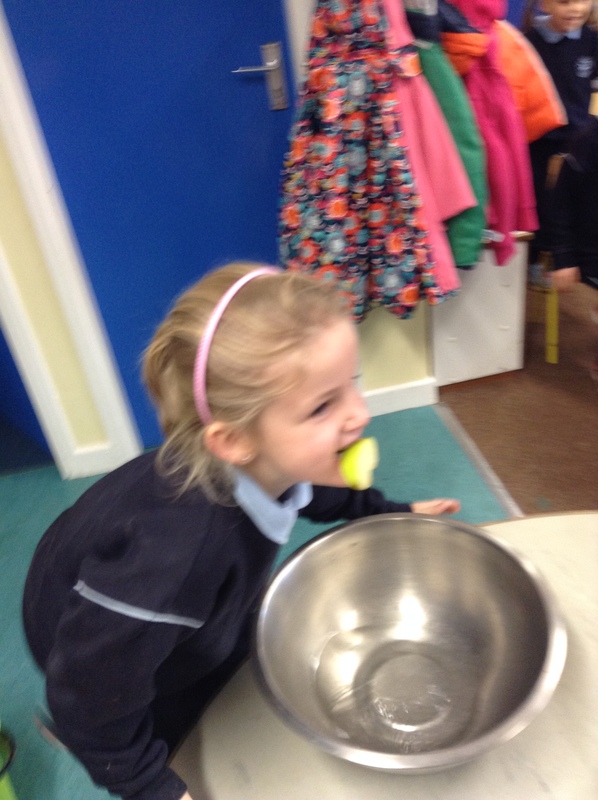 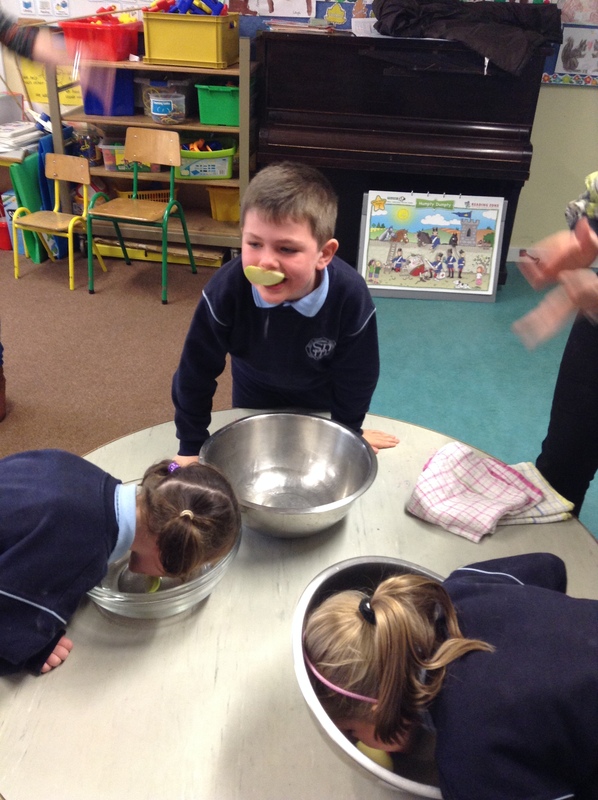 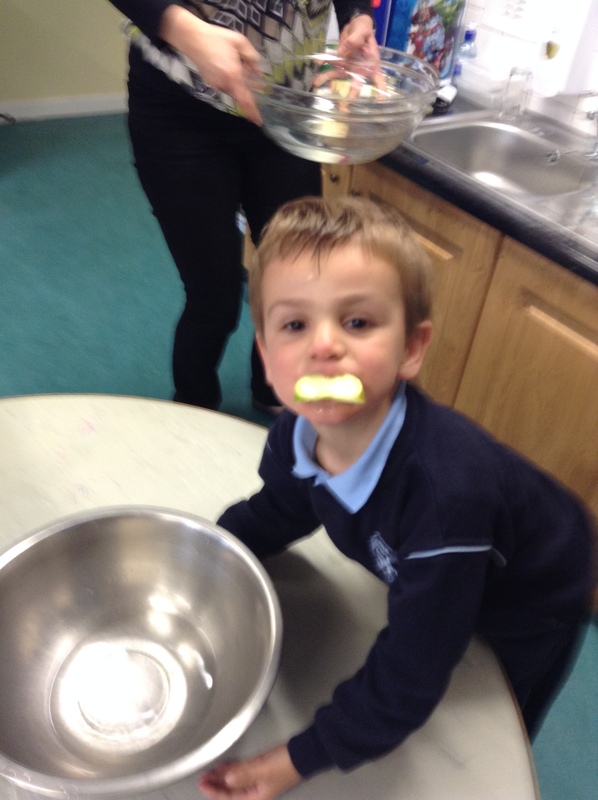 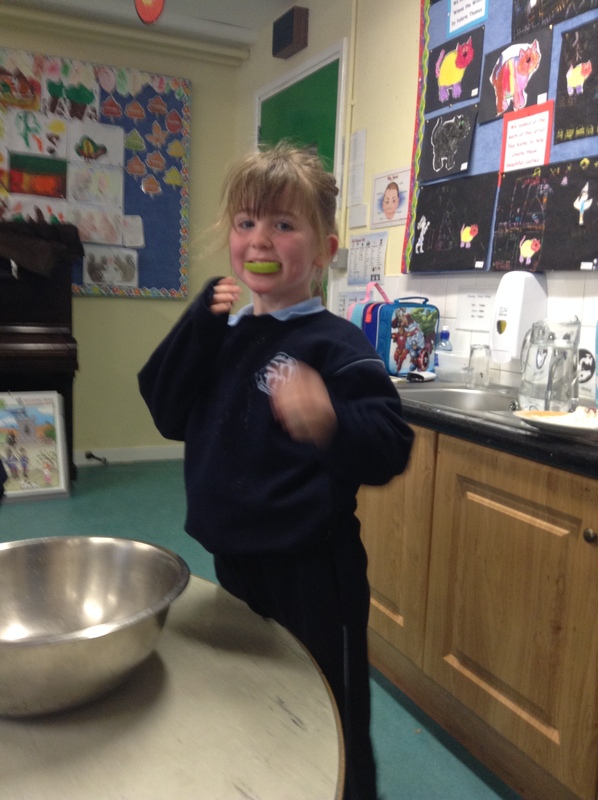 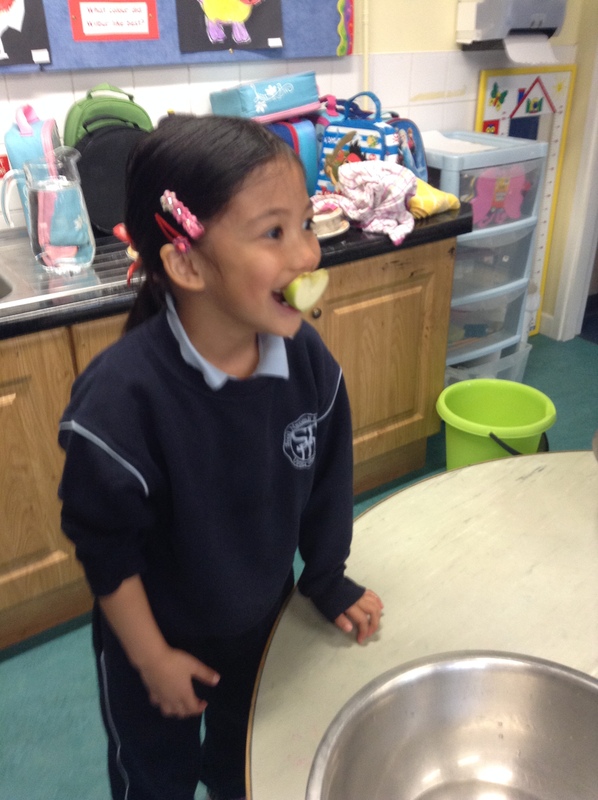 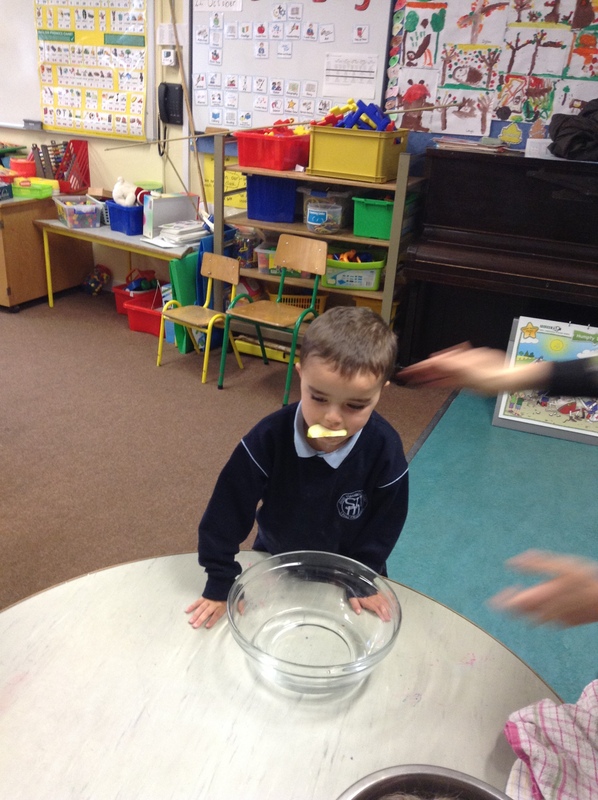 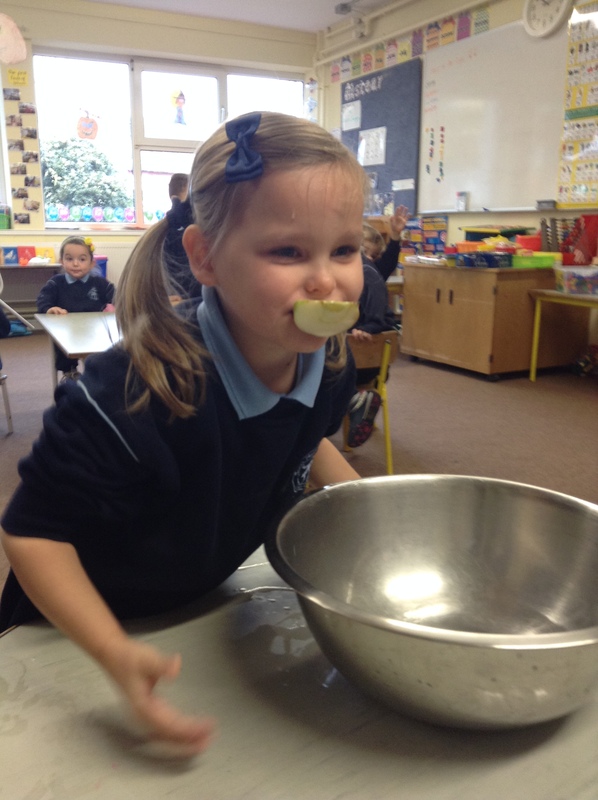 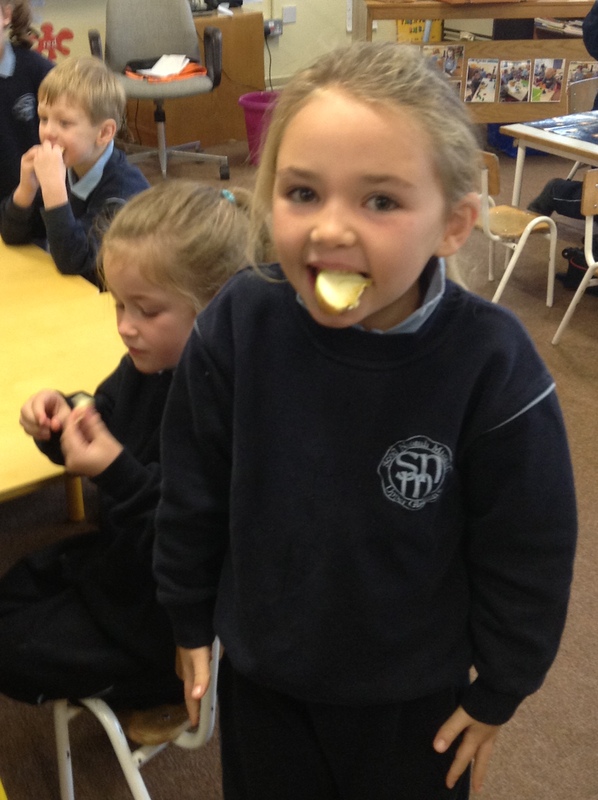 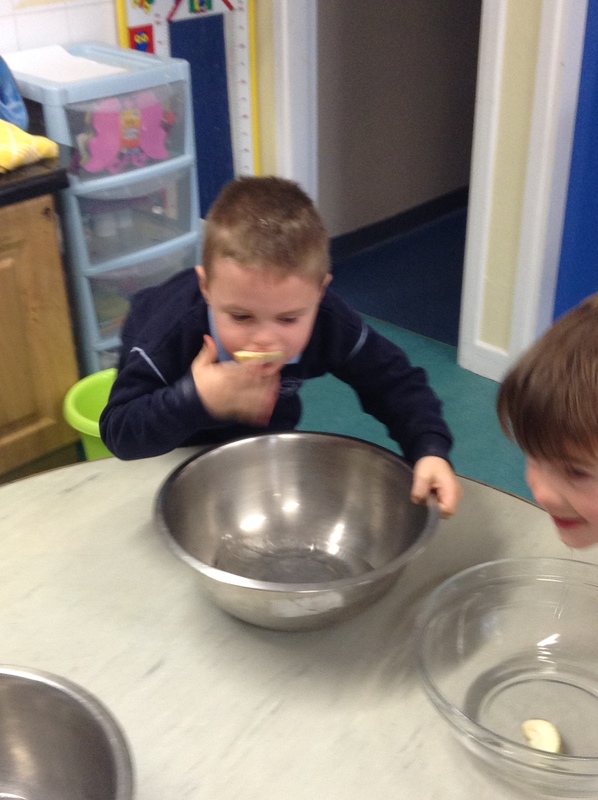 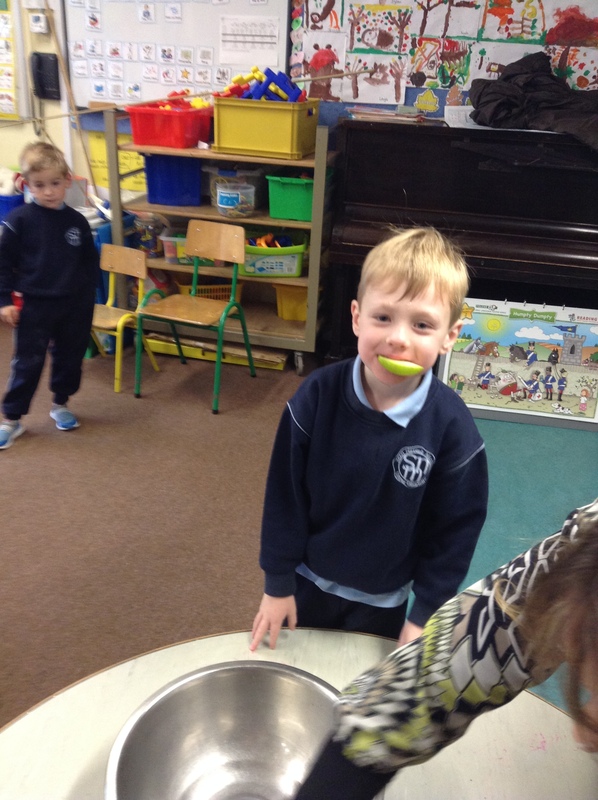 Snap apple was a firm favourite! 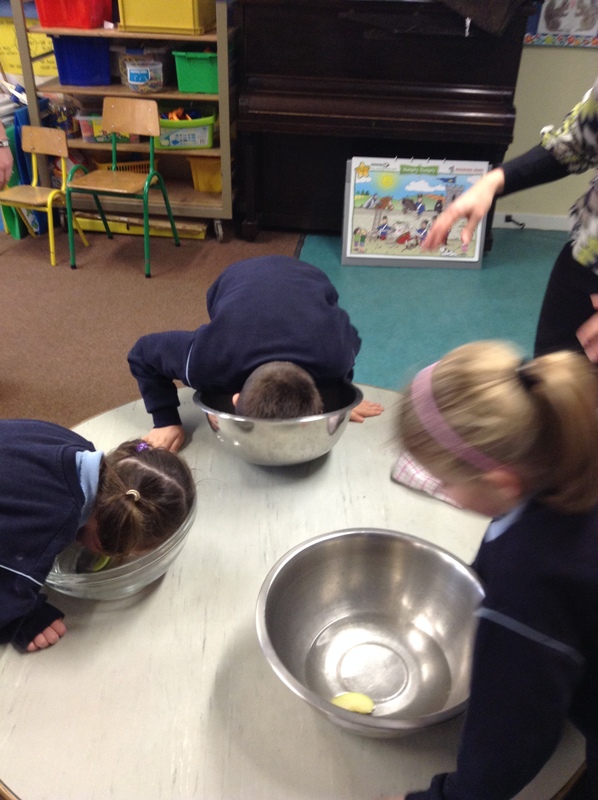 Thank you Mrs Harden!